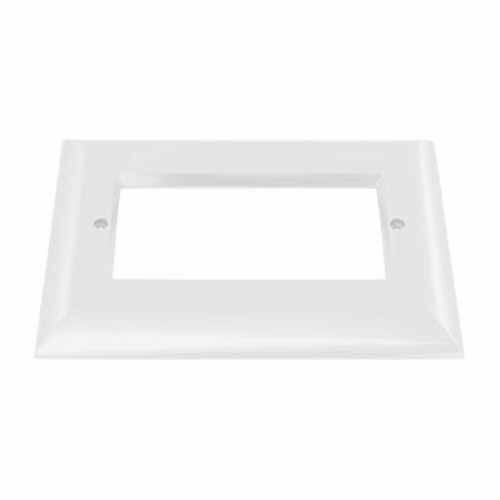 This open window faceplate is used in conjunction with single gang outdoor LED step light. Can be used on deck, porch, concrete/brick walls, or outdoor steps for even spread of light in dark areas. This open window faceplate is used in conjunction with 3-gang outdoor LED step light. Can be used on decks, porches, concrete or brick walls, or outdoor steps for even spread of light in dark areas.